It is officially summer and what better way to kick of the season than in something bright and bold. 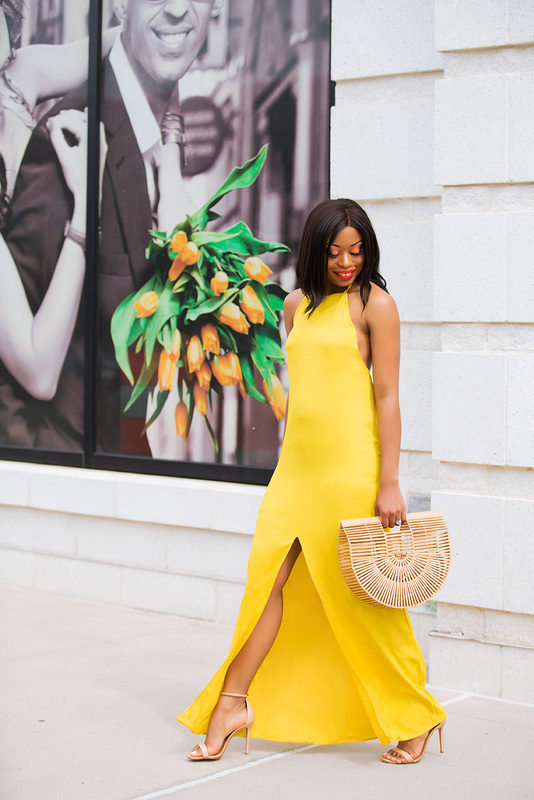 Yellow is one of my favorite colors for summer and I have previously worn this yellow eyelet dress and I plan on blogging about a yellow tiered dress soon. 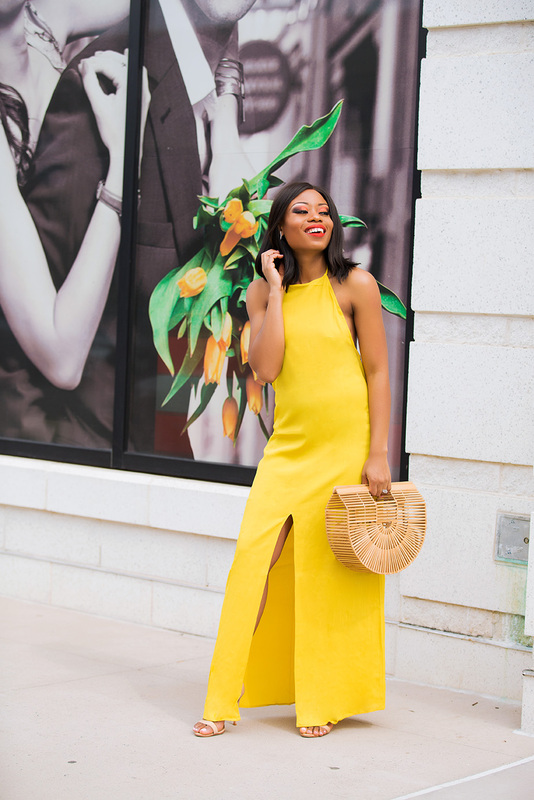 Yellow exudes happiness and one of the things that attracted me to this maxi dress in addition to the front slit and back details; a perfect summer vacation piece. 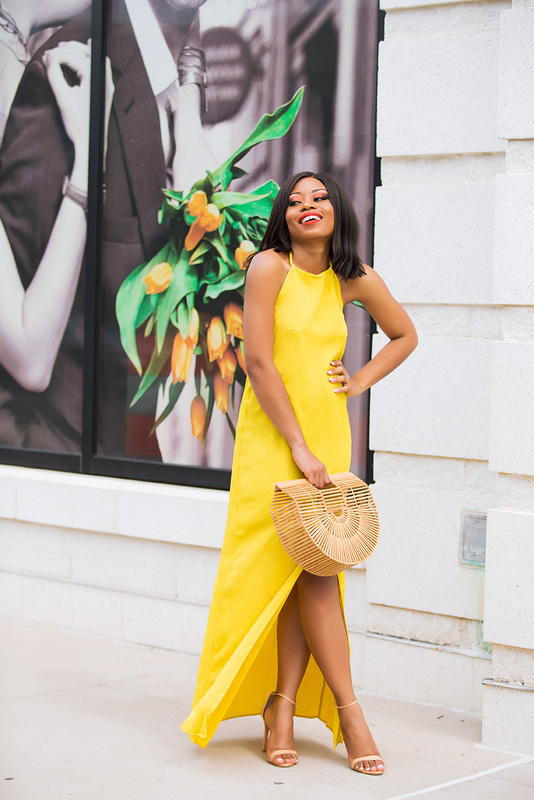 You look so gorgeous in that yellow dress and it complements your skin tone beautifully. Perfect shots! U look fab!